I hear all kinds of reasons: “The FAFSA is too hard,” “It takes too long to complete,” I never qualify anyway, so why does it matter?” It does matter. 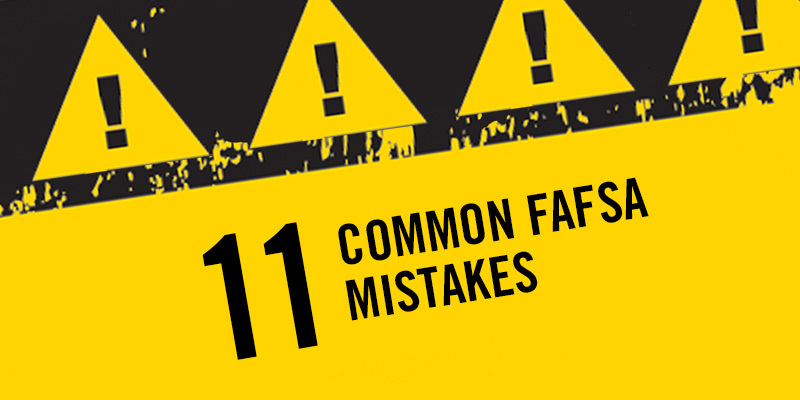 By not completing the FAFSA, you are missing the opportunity to qualify for what could be thousands of dollars to help you pay for college. The FAFSA takes little time to complete, and there is help provided throughout the application. Oh, and contrary to popular belief, there is no income cut-offwhen it comes to federal student aid. States, schools, and the federal government each have their own FAFSA deadlines. To maximize the amount of your financial aid, you should fill out your FAFSA (and any other financial aid applications that may be required by your state or school), by the earliest ofthese three deadlines, if not sooner! So many students answer every single question that is asked, but fail to actually sign the FAFSA with their FSA ID and submit it. This happens for many reasons, maybe they forgot their FSA ID, or their parent isn’t with them to sign with the parent FSA ID, so the FAFSA is left incomplete. Don’t let this happen to you. If you don’t have or don’t know your FSA ID,register for one. If you would like confirmation that your FAFSA has been submitted, you can check your status immediately after you submit your FAFSA online.